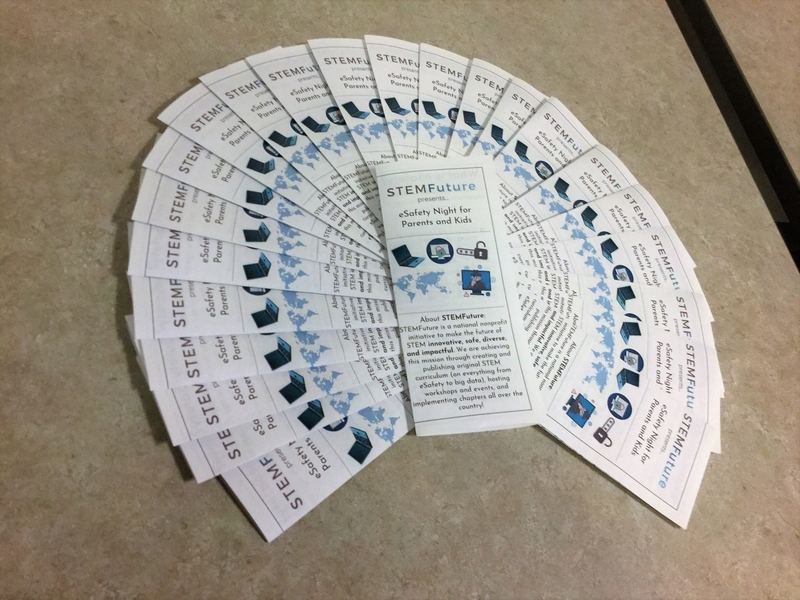 I want to share a little bit about STEMFuture’s recent Parents and Kids’ eSafety Night event. This event’s content was centered around staying safe online and in the rapidly growing world of technology that we live in. Attendees were taught how to pick smart passwords, spot and avoid phishing scams, and how to be good digital citizens. We had a lot of fun learning through interactive activities and games, as well as through the informational presentation. Attendees also received pamphlets to take home with lots of online safety statistics, information, tips, knowledge, and resources so they could keep with them the knowledge that they obtained! Online/tech safety is such an important part of today’s STEM education. I am so glad to say that our participants enjoyed this event and learned a lot!